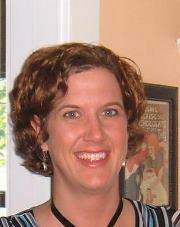 2014 MWG Conference Notes: Carly Watters, Literary Agent Coming to the Conference! This blog provides up-to-the-minute news and interviews about the 2014 Missouri Writers' Guild "Fifty Shades of Writing" Conference. Register at www.missouriwritersguild.org. 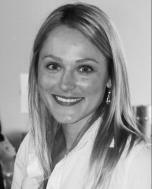 Carly Watters, Literary Agent Coming to the Conference! Welcome, Carly Watters, to the MWG blog and eventually to the conference in April. She took some time out of her busy schedule to give you an insight into her life as an agent at the P.S. Literary Agency. She is actively building her list and looking for new writers. Never without a book on hand, she reads across categories which is reflected in the genres she represents. Carly began her publishing career in London, England at the Darley Anderson Literary, TV and Film Agency and Bloomsbury PLC. She completed her BA in English language and literature at Queen’s University and her MA in publishing studies at City University London with a thesis on the social, political, and economic impact of literary prizes on trade publishing. We are honored to have Carly as part of the 2013 conference faculty. MWG: Hi Carly! How did you become a literary agent? Is this the career you started with? If so, what drew you to it? Carly: As I began researching the publishing industry as my career choice, the concept of a literary agent impressed me from the start. And luckily, my first job in publishing was a literary agency assistant. I was passionate about the role agents play in the greater publishing process and their advocacy for authors and their rights. After working as an agency assistant in the UK, I moved back to Canada and started as an associate agent at the P.S. Literary Agency in Toronto shortly after. Now I am a full literary agent representing picture books, YA, women's fiction, memoirs and upmarket nonfiction. MWG: Great! You have a blog (http://agentcarlywatters.wordpress.com) FULL of information our conference attendees should check out! What can they find on your blog and what should they pay particular attention to? Carly: Great question. I have a few posts that have gotten the most hits that I'll share with you: "Why Agents Take on Less Than 1 Percent of All Queries" (http://agentcarlywatters.wordpress.com/2011/11/28/why-agents-take-on-less-than-1-of-all-queries/). This is the hard truth on why there are so many variables to getting an agent. "Should American Writers Submit to Canadian Agents?" (http://agentcarlywatters.wordpress.com/2011/09/06/should-american-writers-submit-to-canadian-agents/) This post outlines why it doesn't matter where your agent lives, and why US should also search out Canadian agents and vice versa. "When Is It Time to Retire Your Query" (http://agentcarlywatters.wordpress.com/2012/01/23/when-do-you-give-up-when-it-is-time-to-retire-your-query/) Many writers don't know when it's time to retire their project or retire their query letter. Here's the answer. MWG: Those all sound wonderful. Thank you for pointing them out. I need to check out a couple of those topics myself. Who are a couple of authors that you currently represent to give us a flavor of your list? MWG: What projects do you hope writers pitch to you at the conference? Any genre you are looking for in particular? Carly: I love emotional women's fiction, high-stakes contemporary YA, sci-fi and light fantasy YA, high concept picture books, and fresh, upmarket memoirs. MWG: Okay, we got it! What will you not consider even if it's well-written? MWG: Writers get very nervous when they are pitching to agents. Do you have any suggestions for pitching to you? What do you like to hear? Carly: As soon as writers sit down, I like them to feel comfortable. I want to hear their best pitch, so I want them to feel relaxed before they launch into their book. Take a deep breath, tell me how you're enjoying the conference, what drew you to choosing me to pitch to, and why you think your project is right for me. I like to know that some thought went into selecting me as the right agent for their book, just like writers should do in a query letter. Carly: I can't speak to all agents on this one, so this is my feedback only: Agents need some downtime, too--so whenever we're free isn't a free opportunity to pitch. Keep the pitches to the pitch sessions; but when agents are sitting at your table for lunch, feel free to strike up a conversation about the conference or writing in general. MWG: Great--or even strike up a conversation about summer plans, right? (smiles) Anything else you would like to add? Carly: I am very much looking forward to the conference! It will be my first time in St. Louis, and I look forward to meeting everyone. Thanks for inviting me and thanks for the interview, Margo. MWG: Thank you for your time, Carly, and we look forward to seeing you soon! Margo is a former MWG conference chair and president, who now lives in St. Louis, MO and is busy marketing her first children's middle-grade historical fiction novel, FINDING MY PLACE: ONE GIRL'S STRENGTH AT VICKSBURG. Check out more about Margo, her book, and her blog at her website. She hopes to see you at the 2013 conference. It's going to be great! Great interview. I'm looking forward to the conference and to meeting Carly. I especially like her comments about and agent's downtime. We forget that they are jam packed with pitches. So a bit of just plain conversation goes a long way. Register for the 2014 Conference! Debut Author? Don’t Miss ‘17Scribes! 2011-2014 Copyright by Missouri Writers Guild. Ethereal theme. Theme images by luoman. Powered by Blogger.